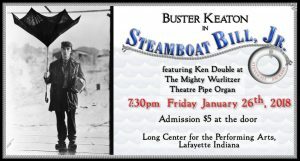 Experience Buster Keaton’s silent film the way it was meant to be — with the sound of the Mighty Wurlitzer theatre organ! 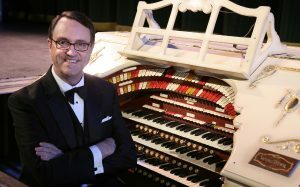 Organist Ken Double returns to play his score for this classic comedy on Friday January 26th, 7:30 pm, Long Center for the Performing Arts. 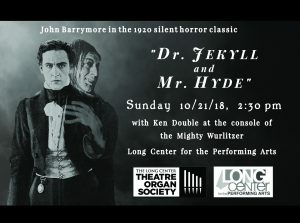 Tickets only $5 — if you’ve never seen silent film with Mighty Wurlitzer accompaniment, this is a great event to attend! 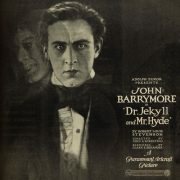 Synopsis available on our Events page and more info on Facebook. HAPPY HOLIDAYS, HAPPY HANNUKAH, AND OF COURSE, MERRY CHRISTMAS! 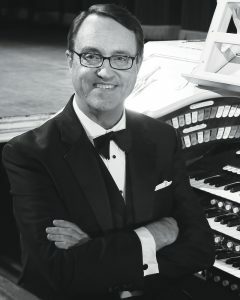 We at the Long Center Theatre Organ Society approach the final days of a most eventful 2017 with great anticipation for the New Year. 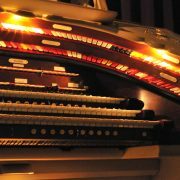 Successful shows; significant upgrades to the Wurlitzer; and the foundation for funding long-term find us almost giddy with anticipation. For our friends, patrons, and event attendees, our thanks to you, as always. 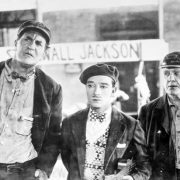 We look forward to seeing you at our next event, January 26th and Buster Keaton’s hilarious silent film comedy Steamboat Bill, Jr.
And one final pitch. It’s interesting to note that statisticians who track such things tell us that more than 10% of charitable giving happens in the last three days of the year. That’s a not-so-gentle reminder to please think of us at the LCTOS if you have any thoughts of financial support. There might be tax advantages for donors. And more importantly, if a donation is earmarked for LCTOS via the Community Foundation of Greater Lafayette, the LaNelle Geddes Matching Grant program could boost your gift by 50%! This is a great opportunity for donors and LCTOS alike. I will see you January 26th, and again in June for our 36th annual variety show. Meanwhile, to all of you, I hope you and your families and friends have a joyous holiday season, a wonderful New Year’s celebration, and that 2018 is the best ever for all! http://lctos.org/lctos/wp-content/uploads/2016/05/DSC6546.jpg 2136 3216 Ken Double http://lctos.org/lctos/wp-content/uploads/2017/11/LCTOS-Small-Logo-1.png Ken Double2017-12-21 02:50:412017-12-31 00:10:02HAPPY HOLIDAYS, HAPPY HANNUKAH, AND OF COURSE, MERRY CHRISTMAS!